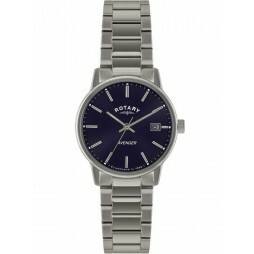 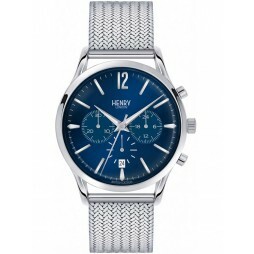 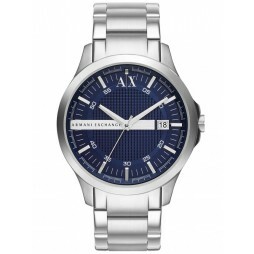 This spectacular men's watch is great for both sports and casual use. 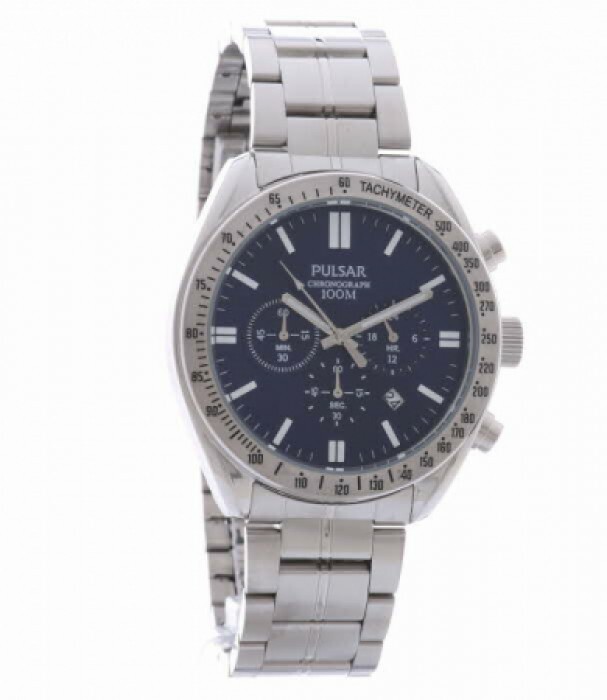 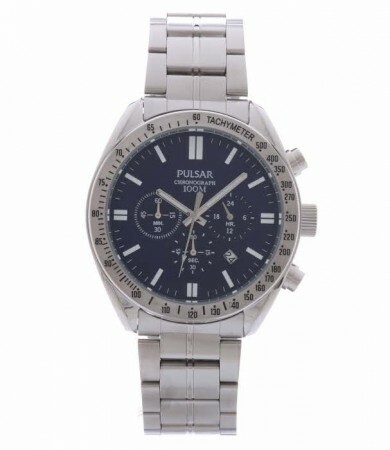 It comes in a stainless steel casing + bracelet and chronograph Quartz movement. 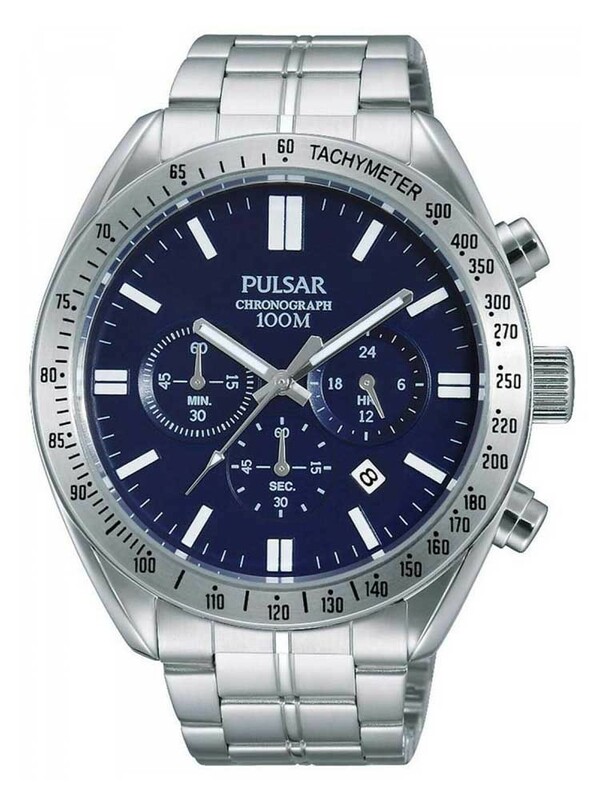 The watch also feature a blue multi-dial face which displays hours, minutes and seconds individually.